At the beginning of 1864, the Civil War was far from won; terrible and bloody Union setbacks and casualties lay ahead. Abraham Lincoln was facing a re-election battle as some northern Democrats were ready to start peace talks that could leave the Confederacy a separate slaveholding American nation and as his secretary of the treasury, Salmon P. Chase, challenged him for the Republican nomination. But by the end of the year, the war's end was in sight, and slavery was on the verge of extinction. Despite all the turmoil of war and political infighting, Lincoln also set the stage for a new era of westward expansion. He shaped the decades to come through laws and subsidies that propelled railroads westward, by the Homestead Act that offered western lands to immigrant farmers and by the Act to Encourage Immigration that enabled 615,000 men, women, and children to arrive in America during the Civil War. As the year ended, John Wilkes Booth, who stalked Lincoln throughout 1864, was only a few weeks away from assassinating our greatest president. 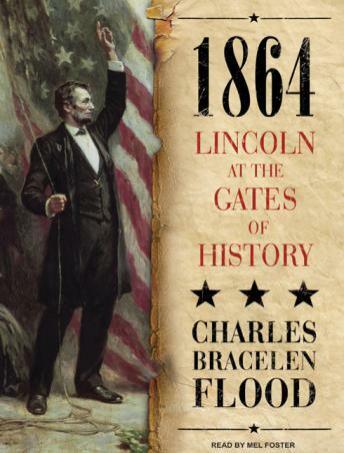 Great for history buffs - I loved it so much, I bought it for my Kindle.